Clearly these guys are bad news. Bigfoot’s no dummy, though. He knows when he’s being baited. And unless theses mooks have cheeseburgers, I don’t think Scout’s getting any closer either. I had a great time at Phantom of the Attic, Oakland this past Saturday. Big thanks to store manager, Jeff, who always makes his customers and visiting cartoonists feel welcome. I met a lot of genuinely nice people who came out to the shop and am always amazed and humbled by the nice things they have to say about this comic. You guys are great. 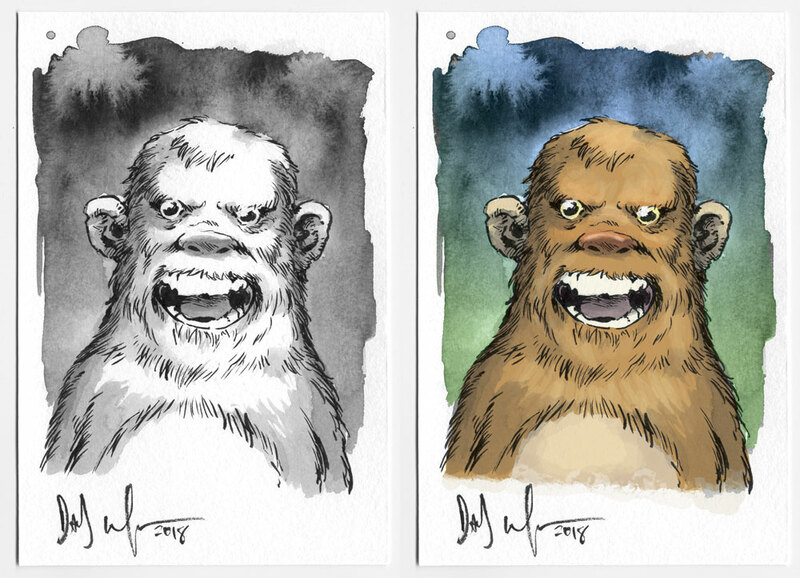 Dave Wachter Drew Me A Bigfoot! A man who’s been on the trail of Bigfoot for 20 years has documented giant footprints on an abandoned mattress in the US wilderness. You can’t make this stuff up! Well, you could — but who’d believe you? Well, actually, a lot of people would believe you, it turns out. Anyway, I don’t know what to believe, but read the article and decide for yourself!